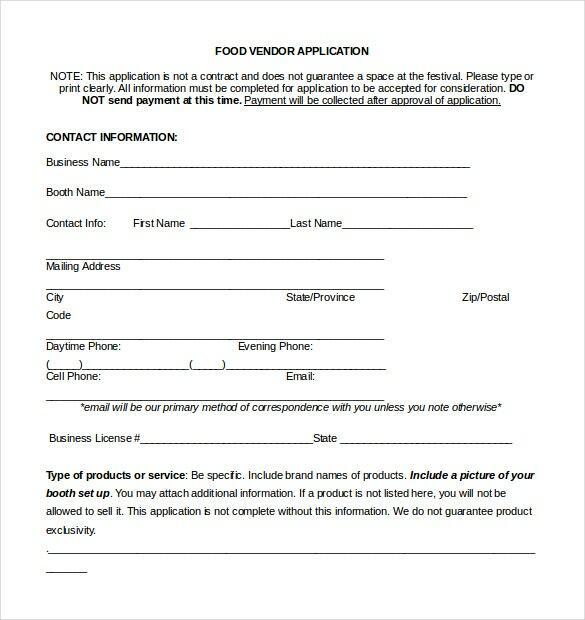 10+ Vendor Application Templates – Free Sample, Example, Format Download! 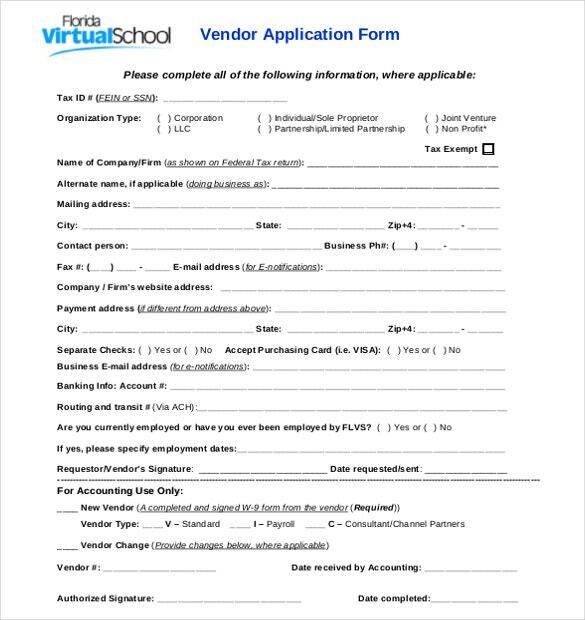 If you are using Vendor application template for example, people are less probable to purchase from you as they may not think you efficiently viable. Your Vendor application template alternatively is the proof that you are sufficient strong economically to happily serve those exclusive demands of the buyers. The nominal cost of template samples will also induce people with easy and simple when they are searching for dependable and legit sellers to contract with. You can also see Job Application Template. The general group of vendor project management formats and tools includes a wide variety of Applications Templates, from that focus on time tracking to workflow organization to file and document teamwork. In the end, lots of vendors offer similar feature. 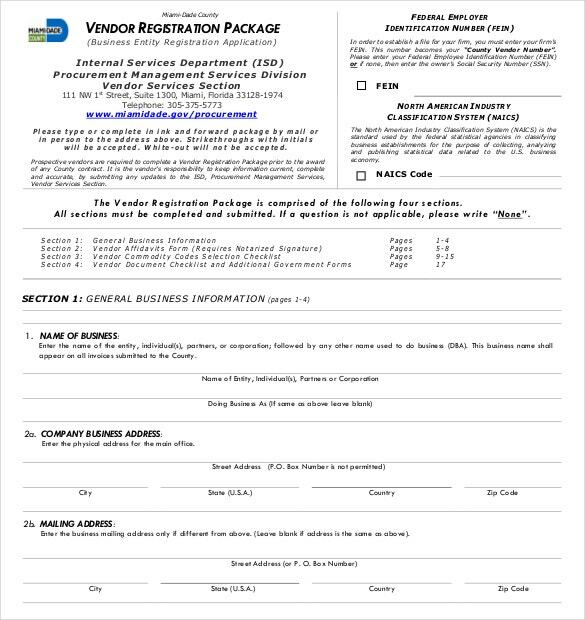 This registration form allows vendor to register for your business in order to sell their products using the platform. This template allows businesses to assess vendorsΓÇÕ ability and the associated risks of dealing with the vendor. This template helps to determine the required qualification of vendor for the business. It can help in deciding the suitability of the vendor regarding business dealings. 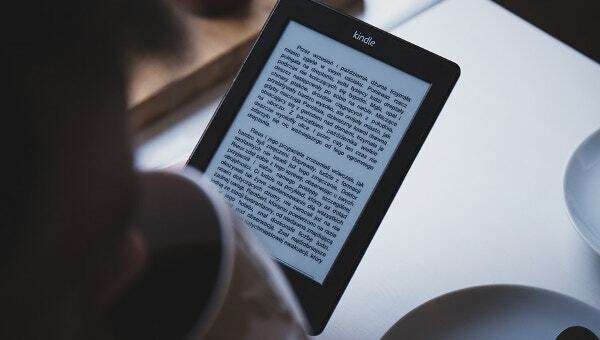 This helps to evaluate the overall performance of vendors based on factors like quality of their products, customer satisfaction and the overall sales figures achieved. 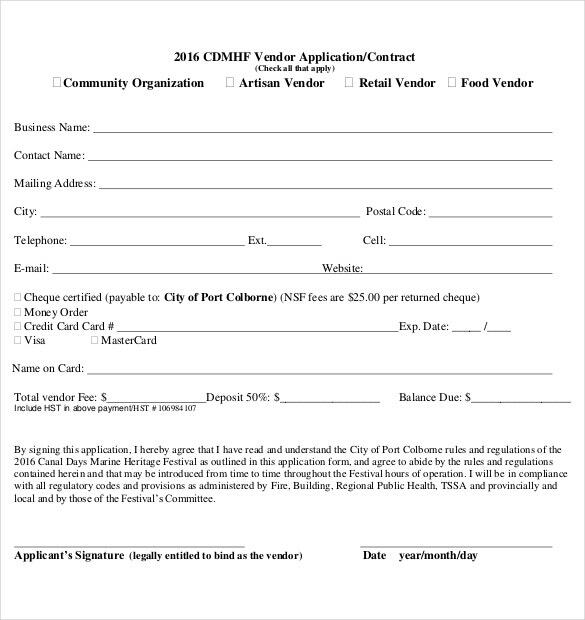 This template allows vendors to register for any workshop the business may hold. This template helps to collect the required information about vendors relating to their business and trade policies. 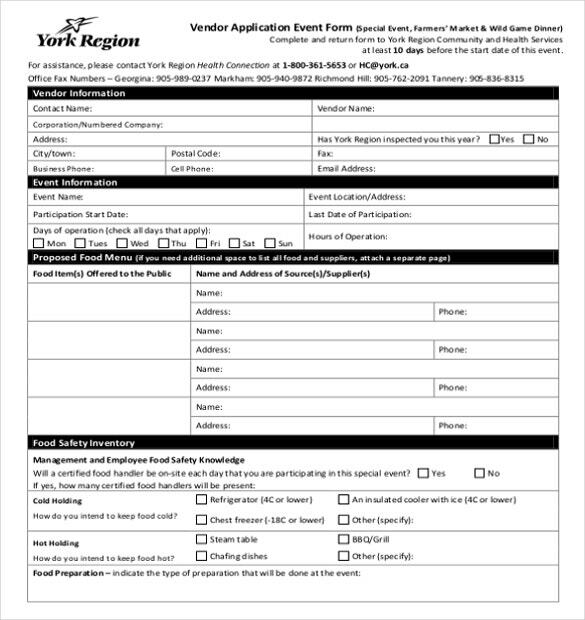 If you are planning an event, creating a vendor application template can help you organize it better. 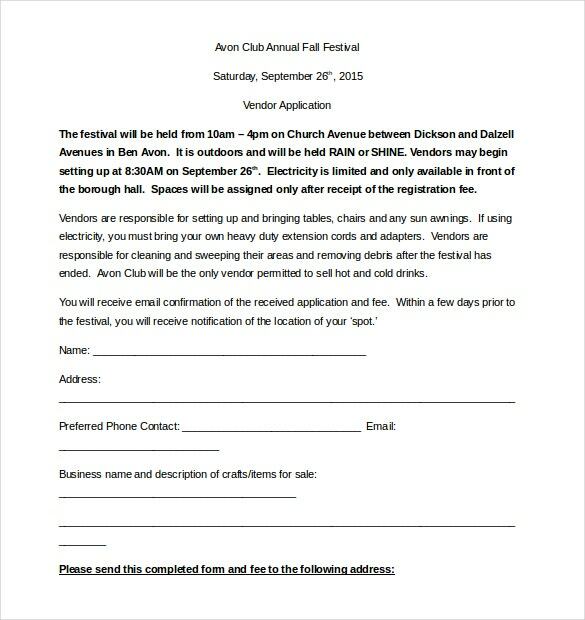 The template may be created when: You are planning an event and would like vendors to sell products and services in the event. You are providing services for the event. 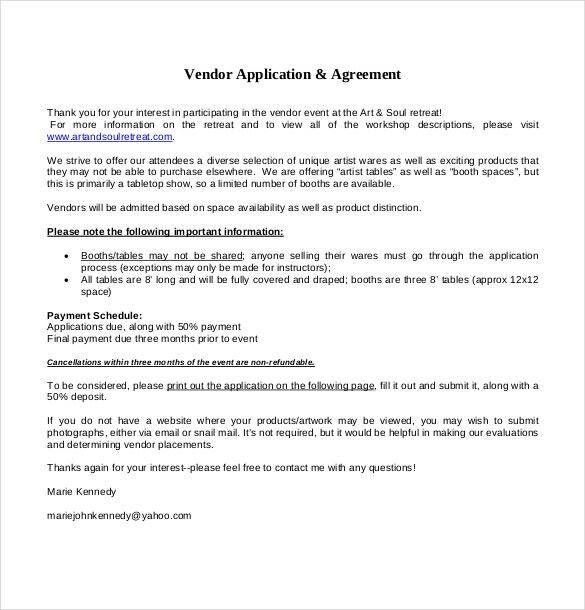 A vendor application template ensures that the vendors sell the required products at the event. It can also define the payment clauses regarding the commission percentage of proceeds. 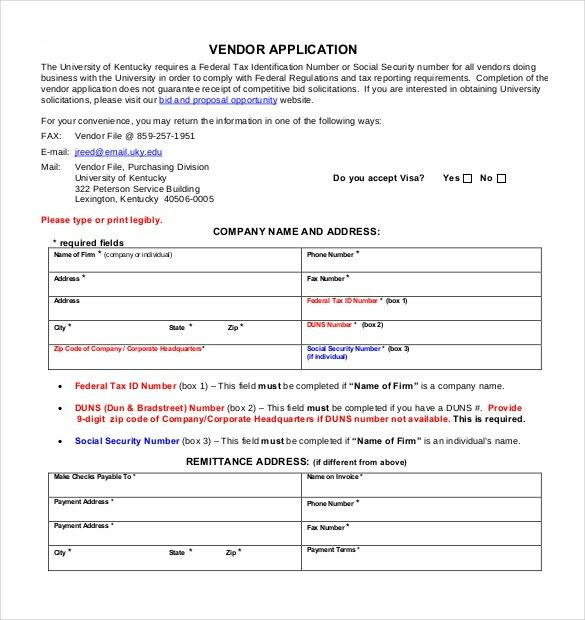 From the point of view of vendors, the vendor application template can be used to gather information about the facilities provided at the event. It can also be used to spell the event plannerΓÇÕs obligations towards the vendors. Use logos and images for the content. This helps vendors in identifying the business. Customize the generic available templates according to your requirements. Seek information from the vendors about the nature of the products and services sold by them. Seek the contact details of the vendors. Clearly state the amount of commission as a percentage of the proceeds. Gather information through the template regarding the type of business enterprise of the vendor. 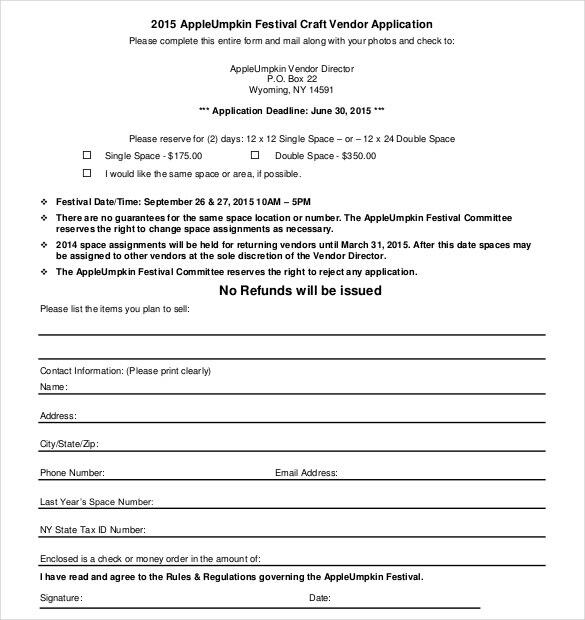 Specify the vendor registration fee in the template. 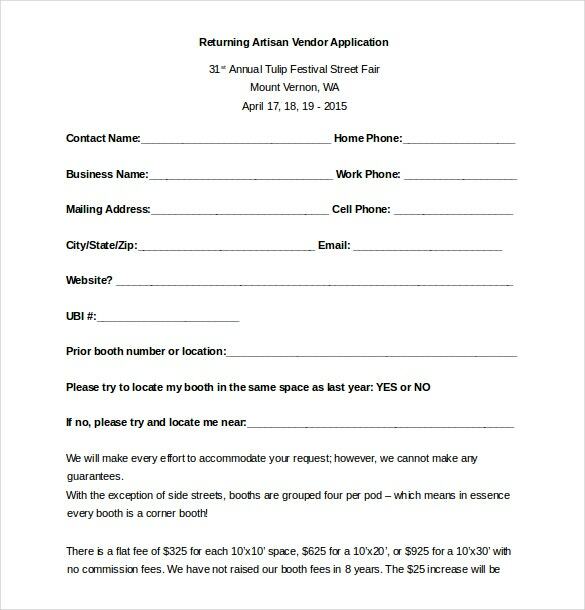 Mention the types of available spaces that can be allotted to the vendors for the event. Clearly specify the terms and conditions of the deal.